2-pack 3 ways to battle! Ages 8+ 2 Wheels Launchers 2 four-price battlers Assembl..
LPS fans can wear their pets and show them off in style. Each surprise bag contains a Teensie-scale ..
-Pull the tab to unlock 24 surprises: 4 decorative locks (including a special fuzzy one! ), 8 keys, 4..
-Sound-activated movement–yell, talk, sing, clap, or play musi-The louder you yell, the faster t.. Collect all the new Trolls friends, which sport crazy, colourful hair with tons of flair! Each Tr..
With three ways to battle, the action is always fun and exciting. Crashes! Stunts! Races! Beywheelz ..
An Arena For you to Battle your Foes .. Product description The Switch Lites - Beyblade is a dual purpose light. Clip onto your.. Kids will dominate the battle with the Beyblade Beyblaster. It blasts off tops at high speed. Chi..
Beyblade Metal Booster FLAME SAGITTARIO C145S .. Description The Launcher Grip can hold two types of launchers: Regular shooter.. This set can remodel BB-80 Gravity Perseus. This set is included many rare parts; special Grip ..
DECK CASE not including the battles .. Spin Master Recommended Age Range: 5+ ..
Overview Brand: Bakugan Model: Dan Type: Wristwatch Type: electronic ..
Powered by Beyblade, the Lizard Fury Attack 2-Pack features 2 battlers Dagger Spine Lacerta bat..
A pack of 2 Speed ​​Wheels for more action + stunts and more fun. Battery Requirements: N..
A pack of 2 Speed ​​Wheels for more action + stunts and more fun. Battery Requirements: No..
Powered by Beyblade, the Rushing Wave Smash 2-Pack features 2 battlers Tail Fin Cetus battler is a p..
Powered by Beyblade; the Savage Blade Herculeo battler is a power battler Comes with Herculeo S..
Powered by Beyblade, the River Beast Gil battler is a balance battler Comes with Gil Spirit Shi..
Powered by Beyblade; the Venom Bite Serpent battler is a balance battler Comes with Serpent..
Powered by Beyblade Metal Fury; the Wild Mane Leone battler is a power battler Includes Spark F.. 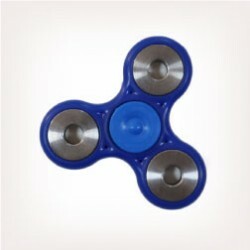 Pick up a SPINZ, start spinning and watch, as you create your own color light show by winding up, pu..
A revolutionary new spinning toy that puts the power to create amazing light show in kids' very own ..
It’s a battle of balance versus power with the spinning Beywheelz battlers in this awesome Ru..
Beyblade BB-40 (BB40) Booster Dark Bull H145SD (No Launcher) Instrunction in Japanses..
Battle 3 ways with the spinning Beyblade Beywheelz Toxic Stinger Scorpio battler! Take your game to ..
Battle 3 ways with the spinning Beyblade Beywheelz Slash Warrior Destroyer battle! Take your game to..